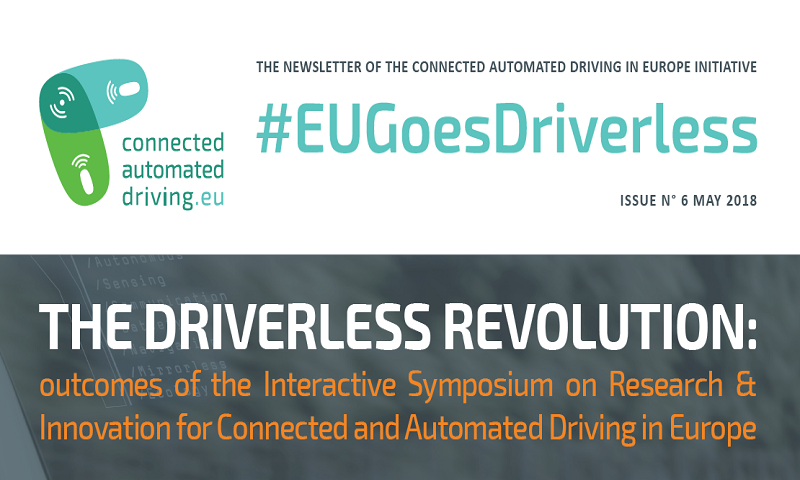 Titled ‘the driverless revolution’ the Connected Automated Driving in Europe Initiative publishes the 6th version of the # EUGoesDriverless newsletter. In this edition, readers will find a detailed summary of the each of the sessions of the CAD interactive Symposium on Research that took place in April in Vienna. By reading the newsletter subscribers will also be informed about the oncoming events in which the CAD Initiative is involved.